Home page of new Alamo Area Council’s New Website! Thank you Scouting leader, parent, and volunteer supporters of the Alamo Area Council! 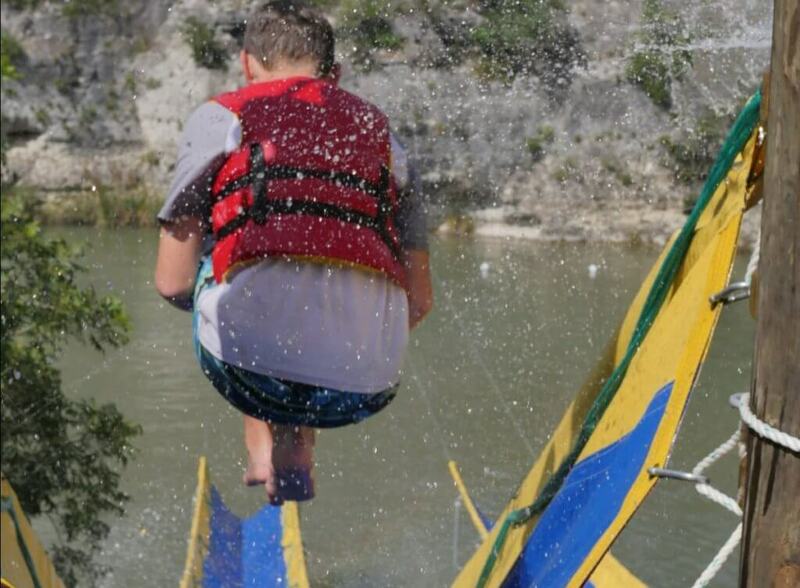 Seven years ago, only 3,000 monthly sessions and 300 unique monthly visitors connected with our older Council site www.alamoarea-boyscouts.org. You jumped in with us and we launched our existing Council site www.AlamoAreaBSA.org at the Council wide Roundtable on August 2012, and it has grown to over 17,000 monthly sessions, 7,000 unique monthly visitors, and one million page views. But, it’s time now for an upgrade! To Be Prepared for future growth, a new council website will soft launch this Monday, April 8, 2019 at 8:30am. We will keep the domain name www.AlamoAreaBSA.org. A soft launch, also known as a soft opening, is a preview release of a product or service. The Alamo Area Council is choosing a soft launch to test the functionality of our new mobile optimized website, allowing adjustments to be made before a wider release and marketing efforts are implemented. Will the Old Council Website go away? No. Actually, during the soft launch phase, many of the website links from our ‘Legacy’ Council site will be active. We will have a HYBRID site of sorts with the pretty front end facing part of the website run by our new platform (WORDPRESS) and many functions, like event registration and facility rentals, being linked back to our Legacy site (“Legacy” refers to our old Council site). That means most everyone will find the registration flow the same way they used it before. At some point after phase two is implemented, the legacy site will be retired. The new website along with the Service App will continue forward and will provide a seamless experience to users. What do Volunteers Need to Know To Prepare for this Change? We ask our volunteers to have patience with us during this transition and know that we are making this change for several reasons: Our current website technology is now old and not as secure or adaptable to our needs to serve our Council mission.We have reached a point of diminishing returns in our current websitemetrics for visits, unique visitors, and other key measurements. Growing our online marketing efforts supports our mission to serve more youth!When we launched our current Council site 7 years ago, most visitors came from a desktop platform. 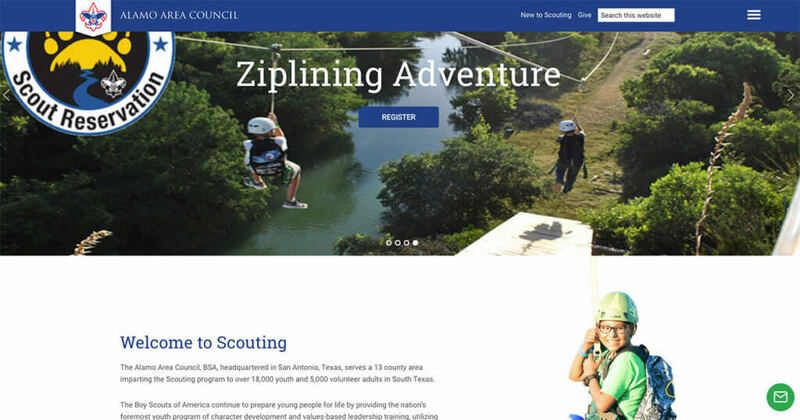 The majority of visitors to our Council site now come from a mobile device and our needs for a mobile optimized site are now a bigger priority.We have received increasing feedback from our Council webmasters committee and from many others within our Scouting community about our need for an updated Council website. What happens to everything on the old site? Can I still get there?The legacy site will be maintained at http://legacy.alamoareabsa.org – During the soft launch period we will still use this site for various functions. Do we need to update all of the links? Will old links still work? With the change to our new site, many of the page URLs will be changing. To minimize frustration and to prevent you from having to update links you’ve provided, we’ve setup automatic redirects for many of the pages that have changed. How can I learn to use the new site? What resources are available?The new website is designed using modern web design best practices to make it easy to navigate. Most information on the site can be accessed by clicking the menu icon (three horizontal lines) in the upper right corner of the site. The Alamo Area Council webmaster, Angel Martinez, will be conducting Council and District wide new website training. Angel can also schedule one-on-one training sessions. He can be reached by email at webmaster@alamoareabsa.org. Are we sure that the donation and sign up forms will work? Why did we need to spend money on a new website? Does it help us reach our goals? Yes! Our donation forms are staying the same as what we’ve been using, which is a redirect to our online giving platform called Mobile Cause. Event registration will also remain the same during the soft launch period.The new website helps the Council reach many of its goals. By presenting a modern and responsive website, prospective members and community members are able to more easily find information and navigate the website on any device. Our new website is also fully accessible, meaning that users who rely on accessibility devices such as screen readers, screen magnification software, speech input software, and display modes such as inverted colors can fully utilize our website. 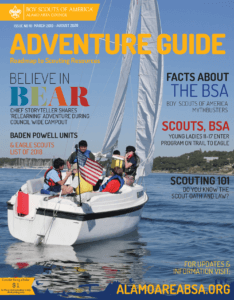 How did you decide on this style (font, colors, layout)?The style for the new site is derived from the design of Scouting.org and the BSA Brand Identity guide. This decision was made as it ensures our compliance with brand standards and also presents a unified, polished appearance for our Council. The WordPress theme was also a best practice (over 30% of websites worldwide use this platform) and it was a suggested theme at the last National BSA Marketing conferences. The Council webmasters committee also recommended this version of other options. What’s the plan for fixing things that are broken at launch? As there are over 1,000 pages of content and almost 4,000 PDFs, images, and other files on our website, there are thousands of places where things may not be exactly the way you expect. And while we’ve done extensive testing over the past several months, the best way to find all of these issues is through our soft launch. If you notice something that’s broken, isn’t working the way you expect, or have suggestions on how we can improve, you can send an email to webmaster@alamoareabsa.org. How does the new website make a difference for users, like service recipients and donors? The new website provides all of our users with a modern, responsive design that matches the Boy Scouts of America branding. This presents our council in the best and most professional light to our current members, prospective members, and community members.